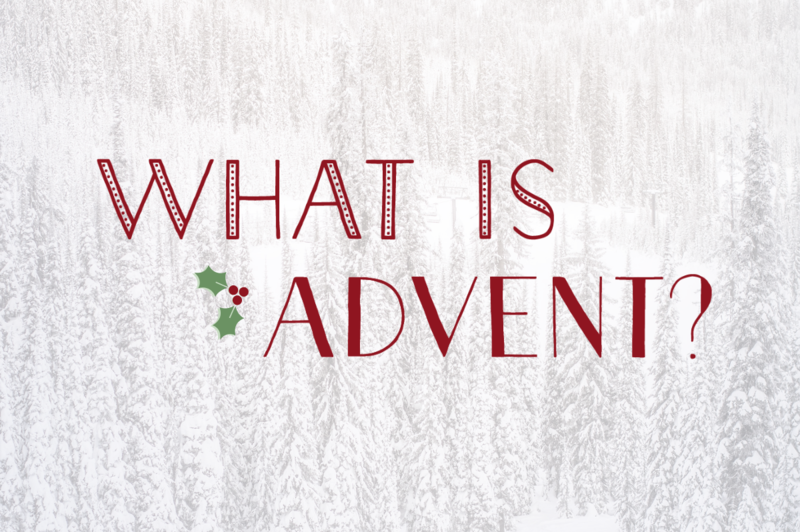 Providence Church: Frisco, TX > What is Advent? It’s that time of year. Lights are going up, decorations are out, and Christmas movies are on TV. As we approach Christmas, the church enters into the celebration of Advent. But what is Advent? To be honest, up until a month ago my knowledge of Advent was limited to the lighting of a few candles. Even though I grew up in a church where we celebrated Advent every year I didn’t know what it was or why we celebrated it. So what is the significance of Advent? Is it just another church activity that fills the gap between Thanksgiving and Christmas? You may be new to Advent or you may have a story similar to mine. Regardless, there is never a bad time to discover (or rediscover) Advent. My prayer is that you will come to find that Advent has a deep and rich meaning that will shape the way you live—not only during December but every single day of the year. The church celebrates Advent during the four weeks leading up to Christmas. The word “advent” literally means “coming” or “arrival.” It is a celebration that looks both back and forward. We look back to Jesus’ first coming with joy and celebration that God gave us the greatest gift—himself. After hundreds of years of anticipation and prophecies, Emmanuel—God with us—arrived on the scene to restore what was lost at the fall. The prophets were looking forward and we are looking back, but our gaze is fixed on the same object—the advent of the promised Messiah who redeems and restores his people. Therefore, not only do we look back and celebrate King Jesus’ first advent, we also look forward to his second advent. This gives us hope and a joyful anticipation in the present because we know a day is coming when Jesus will return. At this advent he won’t return in a manger; he will return on a horse. He will return to finish his grand redemption project. Jesus says of his second coming, “Behold, I am making all things new” (Revelation 21:5). Like the preview to a movie, Revelation 21 gives us a glimpse of Jesus’ second advent. We have much to anticipate and we also have much to celebrate right now. We look back and see God’s faithfulness; now we can look forward with hope that God will continue to be faithful. When we celebrate Advent we are reminding ourselves of what has come and what is to come. As we approach Christmas, consider the first advent; there was a time when people had no idea who Jesus was. The prophets of the Old Testament knew a Messiah was coming but they never saw their prophecies fulfilled. Jesus said, “For truly, I say to you, many prophets and righteous people longed to see what you see, and did not see it, and to hear what you hear, and did not hear it” (Matthew 13:17). Reflect on how blessed we are to know of the person, presence, work, and grace of Jesus Christ. Allow these four words to simmer in your mind: love, peace, joy, and hope. Out of God’s great love for us, he sent his son, Jesus, to restore our relationship with him (John 3:16). Jesus’ advent not only brought us peace with God, but Jesus himself has become our peace (Ephesians 2:14). Jesus has restored and completed our joy through his first coming (John 15:11). Jesus’ advent brings hope for our future that we will spend eternity with our blessed King Jesus (Romans 15:13). Grant Hoover is an intern at Providence Church and a Masters Student at Southwestern Baptist Theological Seminary. He enjoys reading, working out, and watching college football. 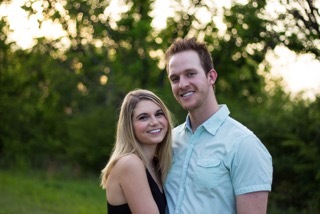 Grant and his wife, Faith, have been attending Providence since May 2018.